Although it’s a little too late, but we’re sure many will still be happy to hear that T-Mobile is officially rolling out the Android 4.1.1 Jelly Bean update for the HTC One S devices starting today. Like any other Jelly Bean updates, this update will bring you the latest Google Now, Project Butter and many other goodies. According to sources, this update will come with a massive 675.49MB file size, please make sure you’re connected to the Wi-Fi network before downloading. If you’ve yet to receive the update notification, then you’ll probably receive it in the next few days or so since T-Mobile tend to roll out their updates in several batches. Nevertheless, you can also manually check for the Jelly Bean update by going to Settings> About Phone> Software Updates. 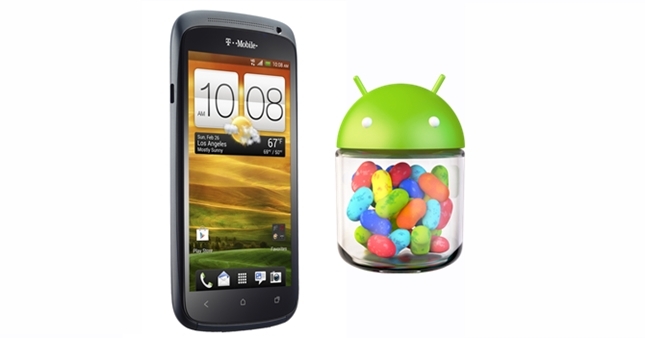 So have you brought those Jelly Beans to your HTC One S?